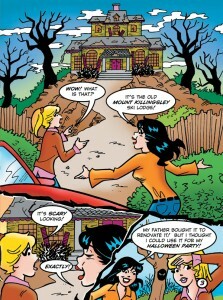 Home News Preview the New Archie Comics On Sale Today Including BETTY & VERONICA HALLOWEEN ANNUAL #237! 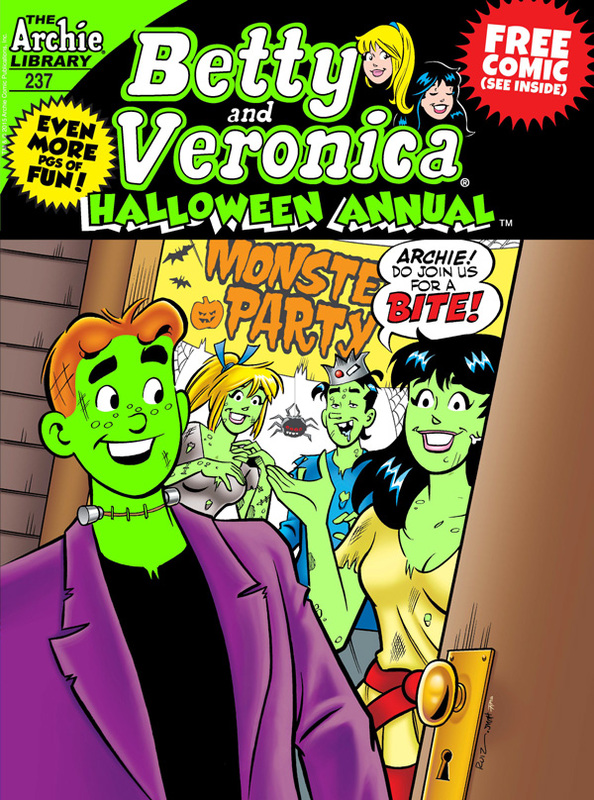 Preview the New Archie Comics On Sale Today Including BETTY & VERONICA HALLOWEEN ANNUAL #237! 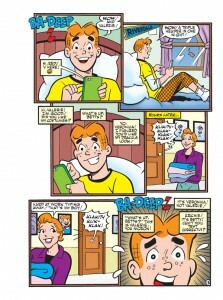 Archie has received notice that he’s been entered in a “Best Boyfriend of the Year” contest. This may seem like a great thing for Riverdale’s resident Romeo, but there’s one problem: he’s been entered by eight different girls—including Betty and Veronica! And here’s the real kicker—every girl is aware of every other girl’s involvement in this contest! 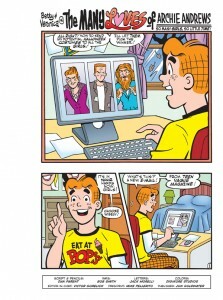 Meet each one of Archie’s dates one by one in the part one of this 10-part series, “The Many Loves of Archie Andrews”! 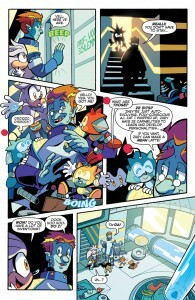 And that’s only the beginning of a fun-filled comics double digest! 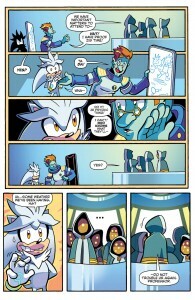 The FUTURE is in DANGER, and only Silver the Hedgehog can make things right! 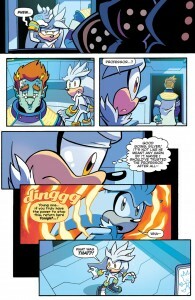 “The Silver Age” Part Two: Silver has teamed up with Prof. von Schlemmer and they have a plan for stopping the Genesis Portals! This seems like the solution everyone’s been waiting for—but why doesn’t the Council want to hear it? The mystery deepens as a voice calls out to Silver—a voice that only he can hear! 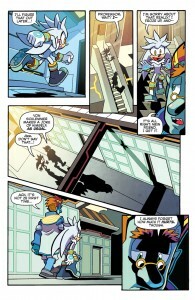 Will our unlikely heroes uncover the conspiracy, or die trying? 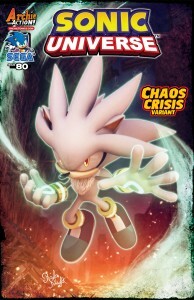 Featuring cover art from the Sonic comic master Tracy Yardley and a CHAOS CRISIS variant by Rafa Knight! To purchase these and other great Archie Comics, find a comic shop near you using the Comic Shop Locator service or visit the Archie Comics Online Store. 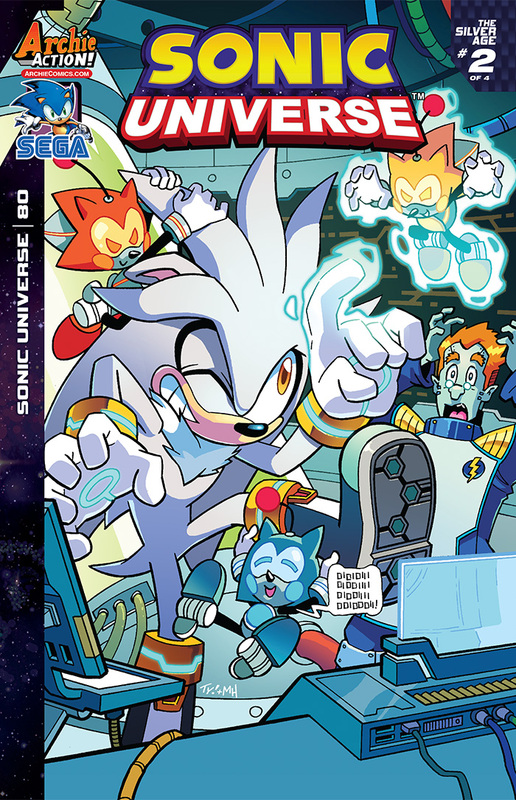 on sale today, sonic universe. Bookmark. 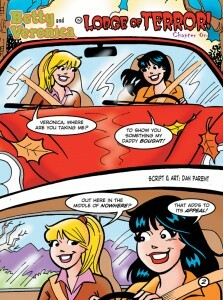 Veronica Arrives In Style at Riverdale High In the All New ARCHIE #3!